As high school comes to a close, students are often prompted to think about the future and what career path they may want to pursue. Many will only know that want to go to college, many know they desire a career in the military, but some have dreams of becoming an entrepreneur. So for those students who dream of making something from the ground up and reaching to touch the sky, a trip to San Francisco, a growing heart of entrepreneurial business, is just the ticket! One of the best places to visit for entrepreneurial-minded students is Silicon Valley, a dreamy and somewhat subdued town in South Bay. 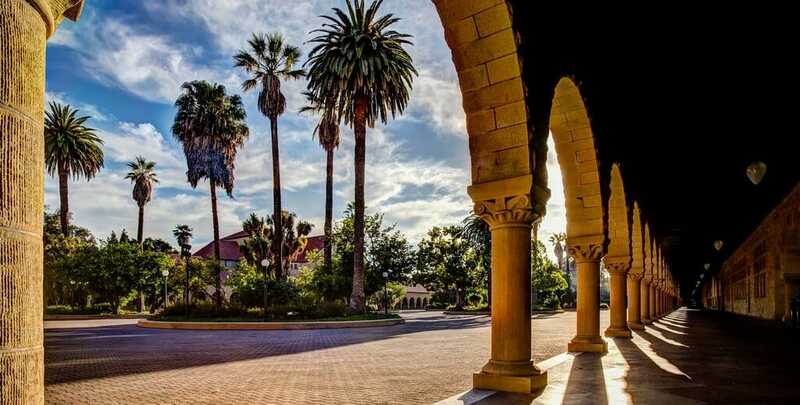 Located nearby is the world renowned Stanford University campus in Palo Alto, just minutes from San Francisco proper. Silicon Valley is a dream for scientifically inclined students looking to establish themselves in the real world of scientific advancement. It also helps that the scenery of the Bay Area is absolutely captivating. Googleplex, the California based headquarters of Google, is one such incredible business opportunity. However, unfortunately, the only people allowed for visiting tours inside Googleplex are employees and those who happen to have a friend working at Googleplex. If you know someone who works for Google, you might be invited in and explore some intensely cool things like the outdoor recreational space with beehives. Other supersized conglomerates like Apple, Twitter, and Facebook also don't open their doors to outside visitors unless you know someone. 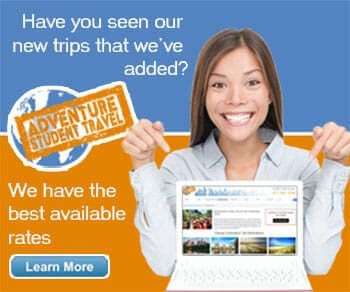 There are sites open to the general public that you may tour on your own, without a guided tour company. Such sites include the historic HP Garage, otherwise known as the "Birthplace of Silicon Valley" where Hewlett and Packard developed their first product, though you can only view the garage from the sidewalk and not the interior. You can also stop by the Apple Company Store which incidentally does not sell computers but it is the only place you can pick up a t-shirt that reads "I Visited the Mother Ship." The NASA Ames Research Center is also located nearby and while they don't provide tours to the main center, you can tour the Exploration Center and the Moffett Museum and learn about this incredible field installation, one of only ten. Finally, you might be interested in visiting the Intel Museum at Intel's headquarters in Santa Clara. It's free and there are almost no lines as the attraction is fairly unknown but allows you to discover everything you'd want to know about microprocessors and computers. San Francisco is an old city with societal implications attached to the particular hills. Perhaps you've heard of Nob Hill with its rich residents and alleged snobbish attitude but the real money comes from Pacific Heights in what is now known as Billionaire's Row. As the city grew up and up with the technological development, big names began buying up property with exclusive views of the ocean. Tech geniuses and businessmen like Apple designer Jony Ive and the CEO of Yelp live on top this small mountain of success. Though you can't go inside the houses, a walking tour of Billionaire's Row may give you an inside look into how successful entrepreneurs can live when they put their minds to work and never quit. Where better to tour than the university that launched many an entrepreneurial dream? Stanford is an excellent school with an almost flawless record, famous students, and teachers who have won countless prizes. Even if you're not looking to become an undergraduate student at Stanford, they offer walking tours of campus for an hour exploring the highlights including the Engineering Quad, Main Quad with historic buildings, and more. You can take a guided tour of the Engineering Quad on its own and get a more in depth look at the goings on in the Hewlett Packard Buildings, the Huang Engineering Center, and the Y2E2 Building, a new initiative built for exploring new areas of energy and sustainability. All tours of campus are free. When it comes to entrepreneurial business tours, it truly pays to know somebody. Most big named businesses don't allow outside tours unless you know someone who works there but there's always something to learn and explore. There are plenty of museums and secondary attractions like the Intel Museum and the Tech Museum of Innovation where you can explore the history and inner workings of the technology that built the big businesses. Tour companies running through San Francisco and San Jose may also be able to grant access to a wider variety of tours, though still not the headquarter buildings, sorry! Truly, the awesome power of Silicon Valley comes from the research and dedication to the craft. These businesses were built from the ground up and have grown into some of the largest in the world. So if you're touring San Francisco with your students, keep an open mind and see everything that you can, soak it all in, and keep them planning for the future!